Tom Schlesinger was the story consultant on the HBO documentaries “Prom Night in Mississippi” with Morgan Freeman and “A Small Act,” both premiering at Sundance and winning awards internationally. Tom was the story consultant on “Nowhere in Africa,” which won the Academy Award for Best Foreign Film, and on “Beyond Silence,” which was nominated for an Academy Award. He wrote the feature script “Chappie and Me,” with Morgan Freeman now attached, and is creating and developing “La Val” a television series for Sky Italia. Tom co-executive produced “The Last White Knight,” which premiered at the Toronto Film Festival, and was story consultant on the award-winning docs, “The Rugby Player,” and “Blood Relative“. Tom was Creative Producer on the documentary “Startup Education,” which premiered at the 2013 SXSW Film Festival, and on “Shirley: Visions of Reality,” which premiered at the Berlin Film Festival the same year. He teaches film seminars for Pixar Animation Studios, Lucasfilm Ltd., the American Film Institute, the Writers Guild of America, and the Directors Guild of America. 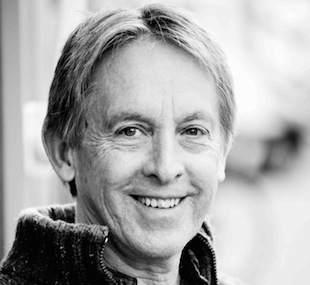 Tom also facilitates Human Potential seminars including: “Art as Transformation” at UCLA; “Myths, Dreams and Movies” at the Esalen Institute and the Saybrook Institute; and “Creative Flow: the Inner Reaches of Outer Space,” at the Academy of Art in Munich and The Working Group in Toronto.